After a full-throttle brain bleed at the age of twenty-five, Ashok Rajamani, a first-generation Indian American, had to relearn everything: how to eat, how to walk and to speak, even things as basic as his sexual orientation. With humor and insight, he describes the events of that day as well as the long, difficult recovery period. That he lived to tell the story is miraculous. More than a decade later he has finally reestablished a productive artistic life for himself, still dealing with the effects of his injury—life-long half-blindness and epilepsy— but forging ahead as a survivor dedicated to helping others who have suffered a similar catastrophe. 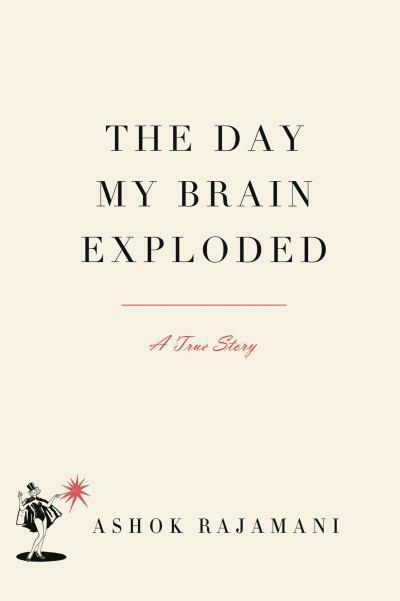 The name of his book is The Day My Brain Exploded: A True Story. We speak with acclaimed neuroscientist Mario Beauregard, Ph.D. about his book, Brain Wars: The Scientific Battle Over the Existence of the Mind and the Proof That Will Change the Way We Live Our Lives. Dr. Paul Lemanski is founder and director of The Center for Preventive Medicine and Cardiovascular Health, assistant clinical professor of medicine at Albany Medical College, a fellow of the American College of Physicians. WAMC’s Alan Chartock hosts. We welcome Lisa Wong and learn about Scales to Scalpels: Doctors Who Practice the Healing Arts of Music and Medicine .